Surrounded by family, Wendy passed away peacefully at the age of 62 in Coeur d'Alene, Idaho, on Feb. 26, 2012, after a long, courageous battle with breast cancer. Wendy was passionate about finding a cure. To donate to the Idaho Chapter of the American Cancer Society, please make checks payable to "Wendy's Fund" through Mountain West Mountain Bank in Hailey or Ketchum. On Nov. 18, 1950, at the Presidio in San Francisco, Kenneth and Beverly Shipp gave birth to one of the most loving, caring people the Wood River Valley community has known, Wendy Jo Wenglikowski. Wendy's dad was in the Army, so she spent her childhood traveling the world from Germany to England, from Guam to the Philippines. After graduating from Navato High School in 1968, she attended Oregon Institute of Technology, where she met her future husband, Rick. 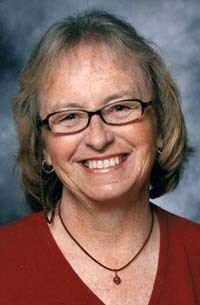 She graduated with a degree in accounting in 1972, and soon went to work at the head office of Les Schwab Tires in Prineville, Ore. In Bend, Ore., on Nov. 22, 1975, Wendy and Rick were married. Together they spent every free weekend roaming and exploring the mountains and deserts. After settling in Ontario, Ore., they purchased a small place where they discovered common passions, such as gardening and animals. Wendy threw herself into raising and milking goats and a cow, making her own butter and cottage cheese, and spinning wool. She loved raising chicks, and was quickly adopted as mother hen. In that spirit, Wendy's deep-seeded want was to have eight children. With the coming of her first child in '78, that number was reduced! She possessed that pioneer spirit of independence and was a strong believer in teaching children self-reliance, that actions have consequences and that children should have freedom to roam and make mistakes. The valley provided the opportunity to continue her passions and enjoy the activities she loved so much: camping, wood cutting, family weenie roasts, fishing and driving valley kids to and from school. Twenty-three years ago, our valley's school kids were treated to the best gift of all—stealing a phrase, "Wendy used her school bus as a vessel to spread her love and joy." No matter what time or occasion, she was willing to serve, especially our valley's children. Wendy was active in local organizations such as the Sawtooth Riding Club, Grange, Girl Scouts and St. Charles Woman's Club. Wendy also loved to sew; from her daughters' Basque costumes to her oldest daughter's wedding dress. Then another phase of her life began—that most cherished title—Grandma. And even though the one waiting to be born will not meet Grandma, Wendy's spirit will be passed on through her youngest daughter and family. In 2004 came evil news; the diagnosis of breast cancer. But Wendy challenged it head on. This thing was not going to stop her from living life. She never once complained and maintained a positive attitude. The only thing that was of interest to her was the welfare of others. And that was true up to her last days of life. Surviving Wendy are her son Levi, daughter-in-law Jolie and grandchildren Taylor, Zakry and Adilyn; daughter Autumn Loomis and son-in-law James; son Zane, daughter-in-law Jill and grandchildren Rhys and Evan Rene; daughter Aspen Rydman and son-in-law Seth and grandbaby on the way; sister Susie Walker; cousin Vonnie Blande and former husband, Rick Wenglikowski. Wendy was preceded in death by her parents, Kenneth and Beverly Shipp, and her eldest sister, Peggy Bland. A heartfelt thanks goes out to Wendy's friends at the Blaine County School District, and the caring individuals at Hospice. A celebration of Wendy's life was held at the Wood River Chapel in Hailey on Saturday, March 3.